Don Carroll, VP, Business Development , VPL For a massive healthcare system that has hospitals located in 23 states, significant changes to established operational processes can be an enormous endeavor. But in 2017, one such system decided to transition their freight management program to Vantage Point Logistics’ (VPL) new self-service platform, VPL SurpassTM. This healthcare system had been utilizing a legacy full-service company for just over eight years, and although they had been mostly pleased with its freight management services, it had been quite some time since they experienced year-over-year growth in incremental savings. The leadership of this organization takes an innovative approach to supply chain optimization and, because of this, are always looking for new ways to fund various initiatives. “With several upcoming projects directly related to supply chain logistics, the customer began to review all their freight spend, looking for ways to repurpose some of those dollars. As a result of this analysis, a decision was made to transition to an in-house, self-managed freight program. Very soon, they began to realize doing that alone was easier said than done,” says Don Carroll, VP of Business Development at VPL. VPL knew that the health network had parts of a solution but nothing that would function together as a system for their freight management requirements. Carroll informs, “Once we properly understood their requirements, we were confident VPL Surpass would be the perfect solution for them.” In the nine months since then, they are the first customer in the active process of transitioning to VPL Surpass. But the experiences of this customer are hardly unique. There are a growing number of health systems seeking a solution for self-management of freight and VPL Surpass is the turnkey platform they have been waiting for. Most U.S. healthcare systems are currently experiencing extreme downward financial pressure from changes imposed by the ACA passed in 2010. These systems have seen their expenses rise by approximately seven percent each year and yet they are receiving lower patient reimbursements from both government and private insurers. 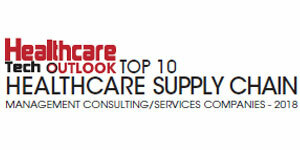 In addition, the average operating margins for healthcare systems have dropped by 20 percent in the past 12 months. As a result, supply chain officers have been given mandates to find creative new ways to reduce their overall expenses. VPL SurpassTM provides a simple way for these systems to significantly reduce the charges associated with the shipment of product into their facilities. “The overarching value proposition of VPL Surpass is that it is the first, and only, the product that provides the subject matter expertise, vetted processes and advanced technology that any health system would need to self-manage its freight,” states Carroll. A cutting-edge, cloud-based technology platform, VPL Surpass provides healthcare providers with an advanced freight management solution. The platform’s design and functionality are in direct response to the growing number of health systems seeking an alternative to the full-service programs currently offered by traditional freight management companies. “Frustrated with the limitations imposed by the existing programs, more health systems are recognizing the advantages of transitioning to an in-house, self-managed freight program. With no off-the-shelf solutions available, the challenges in obtaining the necessary subject matter expertise and technology to run a program in-house have simply proved too high a barrier for all but a select few,” says Carroll. With the introduction of VPL Surpass, healthcare providers now have everything required to set up and run a self-managed freight program right out of the box. The platform removes the uncertainty and risks commonly associated with self-managed programs, with years of VPL’s solid experience built directly into the system. In addition, it guides the users through the transition to a self-managed program, automates most core processes, and provides guided daily workflows that allow the user to be productive from day one. There are two key components to any successful freight management program: ensuring supplier compliance and accurately allocating hundreds, if not thousands, of unique carrier shipping charges each week. VPL Surpass is designed for the easy mastery of both. With regards to suppliers, all successful freight programs begin with setting up the right ones, and VPL Surpass makes this seamless by identifying all the eligible suppliers, initiating the appropriate setup instructions and providing guided workflows if direct supplier follow-up is necessary. The platform improves supplier compliance by continuously monitoring their performance to ensure they are following the agreed-upon shipping procedures. “When a supplier is flagged as a compliance opportunity, guided workflows ensure quick resolutions and maximum program performance,” notes Carroll. When it comes time to pay the carriers, the methodology behind VPL Surpass’ shipping charge allocation can be customized to match any system’s accounting practices and requirements. Its technology allows the users to allocate freight charges back to appropriate GL accounts in their own system before payment. This customization provides accuracy, saves time, and presents fewer issues for AP. VPL Surpass also comes preloaded with all reports needed to monitor program performance and provides executive-level dashboards that notify designated users when the time comes to take credit for the savings realized. It can analyze shipping patterns and carrier data to identify opportunities for incremental savings in a variety of areas, including mode optimization, supplier fee reductions, and dimensional weight changes. What truly differentiates VPL from the rest of the freight management industry are the years of experience that they carry in their arsenal. As Carroll reports, “VPL has many years of hard-earned subject matter expertise, and this is built into virtually every aspect of VPL SurpassTM. While a significant amount of this experience applies to processes running quietly in the background, the daily user will benefit from it with every guided workflow.” The company’s story traces back to 15 years ago, when VPL’s co-founders, Eric McGlade and Scott Crow, were instrumental in the design and implementation of the first turnkey inbound freight management solution designed specifically for the healthcare industry. Under their leadership, the company catapulted to success and was quickly recognized as the clear market leader, a status which ultimately resulted in the company’s sale to a large healthcare supply chain organization. 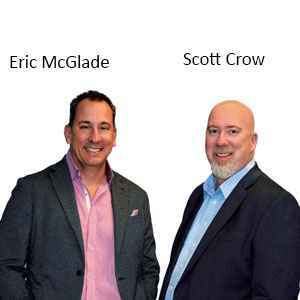 Following their entrepreneurial streak and the zest to improve their initial offering, McGlade and Crow co-founded VPL to take their freight management model a step ahead and unlock even more opportunities in this realm. While most of the legacy freight management companies promise cost reductions with their program, their incremental savings diminish over time. VPL is changing this status quo with its customized performance-based contracts. VPL’s experts perform a deep-dive analysis of a health system’s freight data and, based on this analysis, VPL guarantees an incremental value of savings while managing a higher number of shipments in the subsequent one year. Another significant pain point remedied by VPL is the cumbersome and time consuming nature of the legacy companies’ invoicing process, for which VPL provides a uniquely formatted invoice based on each customer’s system and accounting requirements. The invoice has a categorized list of charges that cascade out against the appropriate GL accounts within the associated systems to eliminate manual allocation of managed shipping charges. Over the years, VPL has built its reputation on providing customers with the most robust full-service freight management program available in the healthcare market. Designed to promote transparency and partnership, they deliver greater savings through a combination of enhanced supplier compliance, customized invoicing and reporting, and a flat-rate transaction fee pricing model. The release of VPL Surpass has been a contributor to VPL’s exponential growth. “We have doubled our market share in the past 12 months and have experienced a 100 percent increase in net revenue over the same period. Our top line revenue has grown by 362 percent in the past three years resulting in Inc. Magazine recognizing VPL as one of America’s fastest growing companies in both 2017 and 2018,” states Carroll.